The final Harry Potter book has topped the Amazon.co.uk book chart – even its release date and price have not been decided! Harry Potter and the Deathly Hallows is the seventh and also the final book in the Harry Potter series of novels written by J. K. Rowling. The title for the book was announced on 21 Dec 2006 via the publisher and a special Christmas-themed hangman puzzle on the author’s website. Amazon received more than 1.5 million advance orders for the previous book in the series, Harry Potter and the Half-Blood Prince, in 2005. Harry Potter and the Deathly Hallows will feature the final adventures of Harry Potter as he attempts to bring an end to his nemesis, Lord Voldemort. 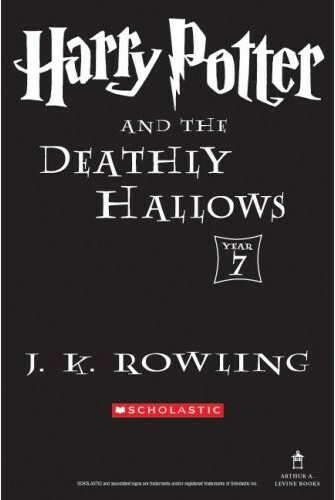 Rowling has stated that the final volume relates so closely to the sixth book of the series, Harry Potter and the Half-Blood Prince, that “I feel almost as though they are two halves of the same novel.” She has also stated that she has no intention of writing any further stories about the Harry Potter characters, meaning that Harry Potter and the Deathly Hallows will be the last book in the Harry Potter series. However, she has said that an encyclopedia of the Wizarding world based on her copious notes may be published in the future, possibly for charity similar to her two other Harry Potter charity books. Get one Harry Potter and the Deathly Hallows for ₤13.99. Do the reservation here. This entry was posted on Wednesday, January 10th, 2007 at 6:07 pm	and is filed under Interesting Stuff. You can leave a response, or trackback from your own site.